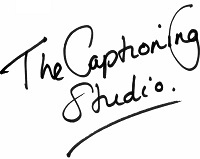 The Captioning Studio provides high-quality captioning services. Established in 2004, our company’s mission is to help to make the world more accessible to people who are Deaf or hard of hearing. Winners of the 2012 National Disability Awards and the 2011 Australian Human Rights Award for Business, our captioning team is headed by Nari Jennings, a well-known and highly experienced captioning professional who has been working in the captioning field since 1996. Please contact us to see how we can help you with your captioning needs. We would be delighted to assist you.